Last week NLIHC provided an early estimate of the threat Hurricane Florence posed to vulnerable households and affordable rental housing in the storm’s potential path across North Carolina, South Carolina, and Virginia. Now that Florence has passed, we can begin to get a better sense of the potential impact on the lowest income renters and their housing. Our updated estimates suggest that almost 95,000 rental homes affordable to very low income (VLI)* households and nearly 30,000 federally assisted units are located in counties where significant damage is most likely to have occurred. These areas are home to 98,000 very low income renters. By all accounts Hurricane Florence hit North Carolina the hardest, leading to massive flooding across the eastern half of the state. The 18 most severely impacted counties in North Carolina received a Presidential Major Disaster Declaration. All 18 North Carolina counties were designated for the Federal Emergency Management Agency’s (FEMA) Individual Assistance (IA) programs (see map below), which include the Individuals and Households Program (IHP). IHP provides approved registrants with rental assistance, home repair assistance (for homeowners), or assistance for other serious disaster-related needs, such as childcare, medical care, transportation, storage, or the repair or replacement of essential household items. These same counties are also eligible for FEMA’s Public Assistance (PA) program for categories A-B, which provides local jurisdictions assistance with debris removal and emergency protective work. PA categories C-G provide recovery assistance for public infrastructure, sometimes including public housing authority (PHA) facilities. So far, eight counties in South Carolina received a Presidential Major Disaster Declaration and are eligible for PA (A-B), but not IA. While our estimates are limited to IA designated areas, this does not preclude the possibility that damage occurred in other areas in South Carolina. During the IA application process, FEMA collects important information on the housing tenure of IA registrants, extent of damage to inspected housing units, and dollar amounts for approved assistance. These data offer an early opportunity to examine the extent of assistance needs and housing damage for both renters and homeowners following a disaster. IA application data are also an important metric for beginning to gauge the equity of federal, state, and local governments’ responses to a disaster. HUD uses FEMA’s damage inspection data in determining unmet housing needs, which informs the allocation of Community Development Block Grant Disaster Recovery (CDBG-DR) funds administered by state and local governments. Advocates found potential disparities in the approval rates for IA among renters following Hurricane Harvey and the Government Accountability Office (GAO) documented a significant bias for homeowners in the allocation of CDBG-DR funds following Hurricane Katrina. While full data from IA applications are not yet available and inspections will likely not be complete for several weeks, IA designations generally highlight the communities most impacted by the storm and where the most significant damage likely occurred. The 18 North Carolina counties with an IA designation have a combined poverty rate of 18.6% compared to the national poverty rate of 15.1%. ** These counties are home to a little over 98,000 very low income renter households and there are just under 95,000 rental homes affordable to them (see table below). Based on data from the National Housing Preservation Database (NHPD), we estimate there are almost 30,000 federally assisted housing units in North Carolina’s IA designated counties. In Craven County alone, where the media has reported on damage to public housing in the town of New Bern, there are over 2,000 units of federally assisted housing. HUD also provides estimates of its potentially affected assets, but those do not necessarily include properties assisted through the Low Income Housing Tax Credit (LIHTC) or USDA Rural Development programs. 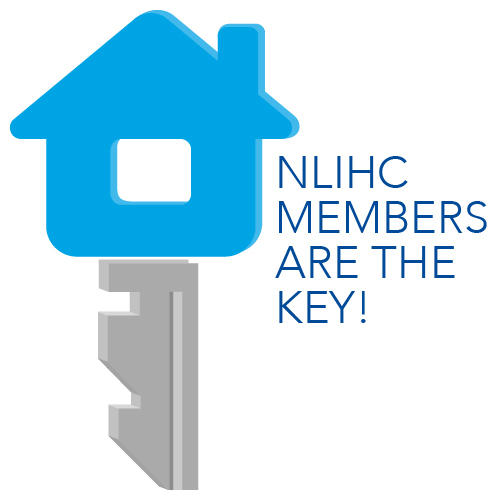 *** LIHTC is the largest federal housing production program. Restoring, if not expanding, the limited supply of rental homes affordable to VLI households will be critical to an equitable recovery. *Note: HUD defines very low income (VLI) households as those earning less than 50% of the area median income (AMI). ** Note: Based on 2012-2016 American Community Survey 5-Year estimates. ***Note: HUD’s estimates do include FHA mortgages and vouchers, while the NHPD does not.